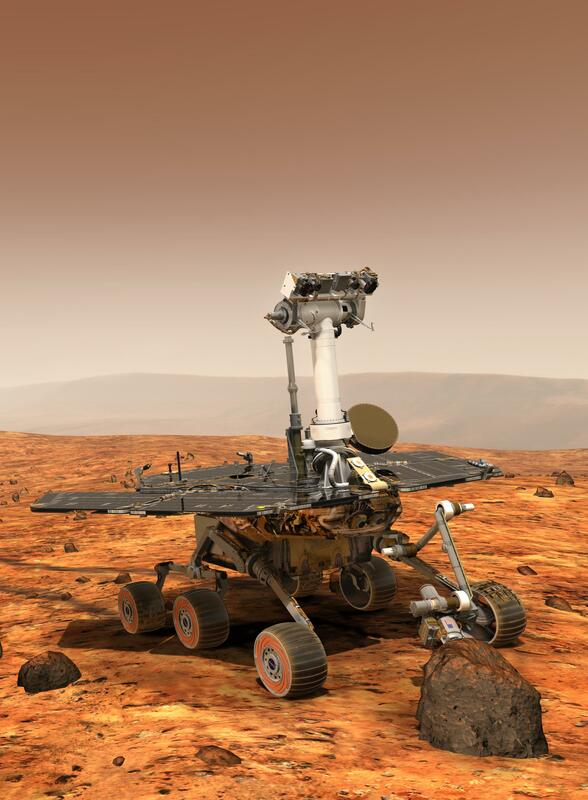 An artist's concept portrays a NASA Mars Exploration Rover on the surface of Mars. 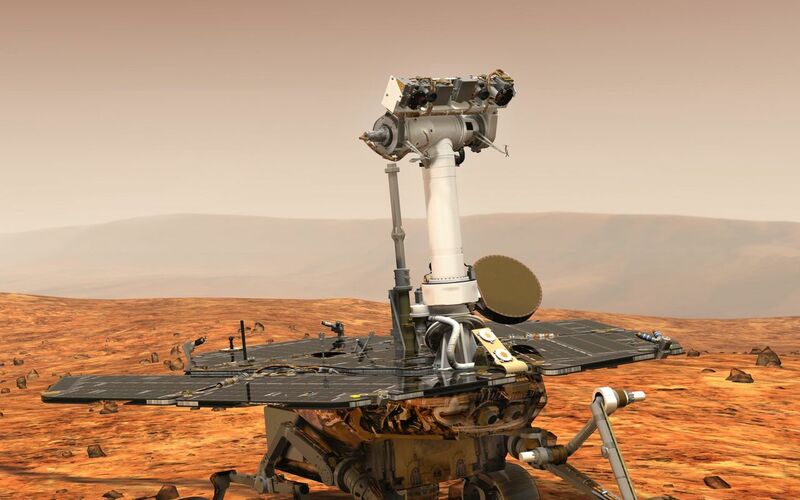 Two rovers, Spirit and Opportunity, will reach Mars in January 2004. 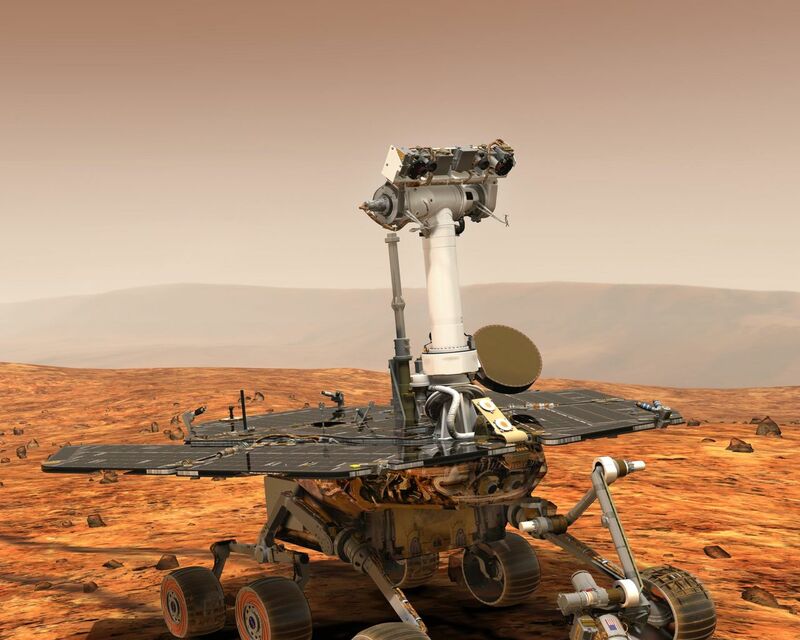 Each has the mobility and toolkit to function as a robotic geologist. 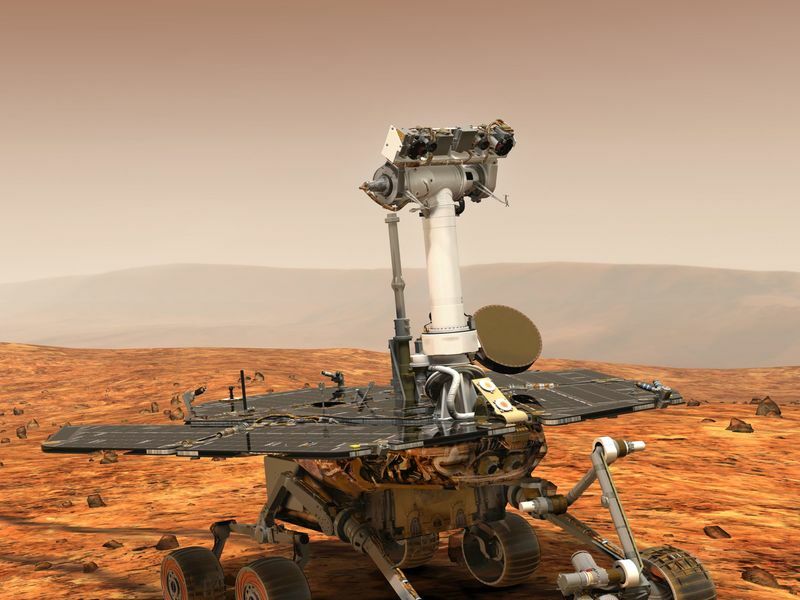 NASA's Jet Propulsion Laboratory, Pasadena, Calif., manages the Mars Exploration Rover Project for the NASA Office of Space Science, Washington, D.C.